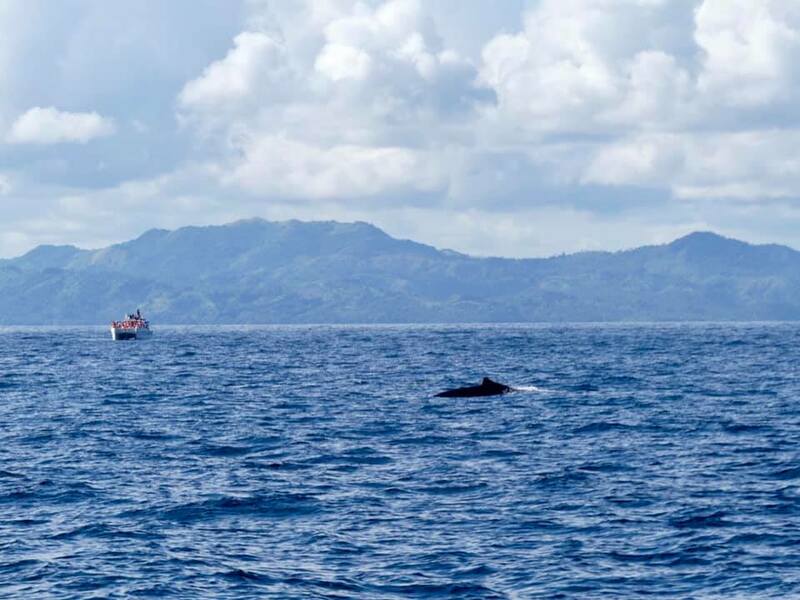 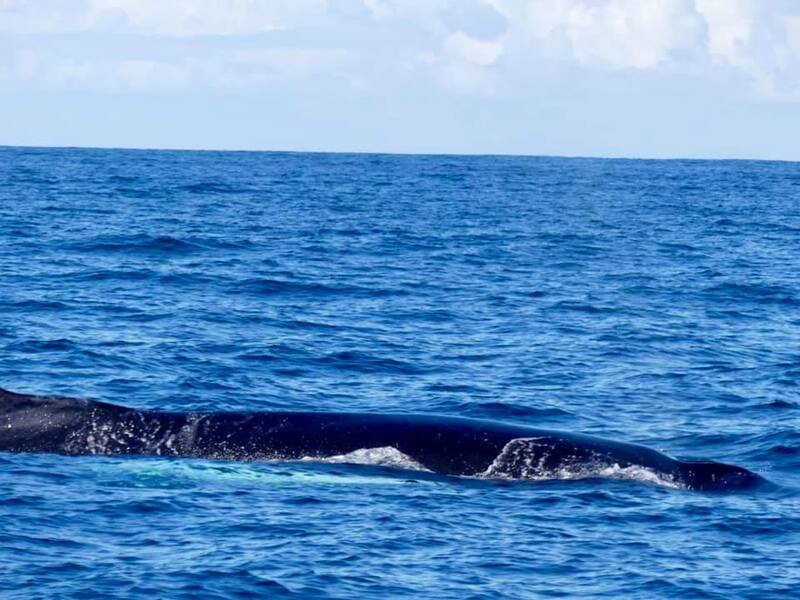 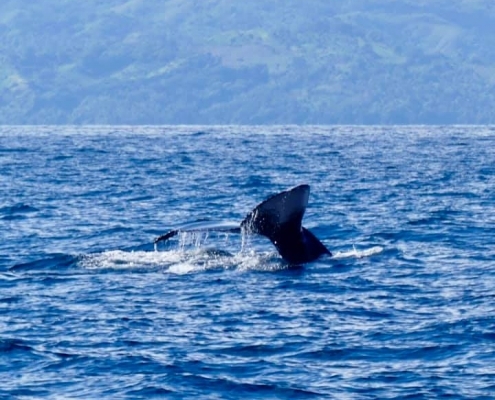 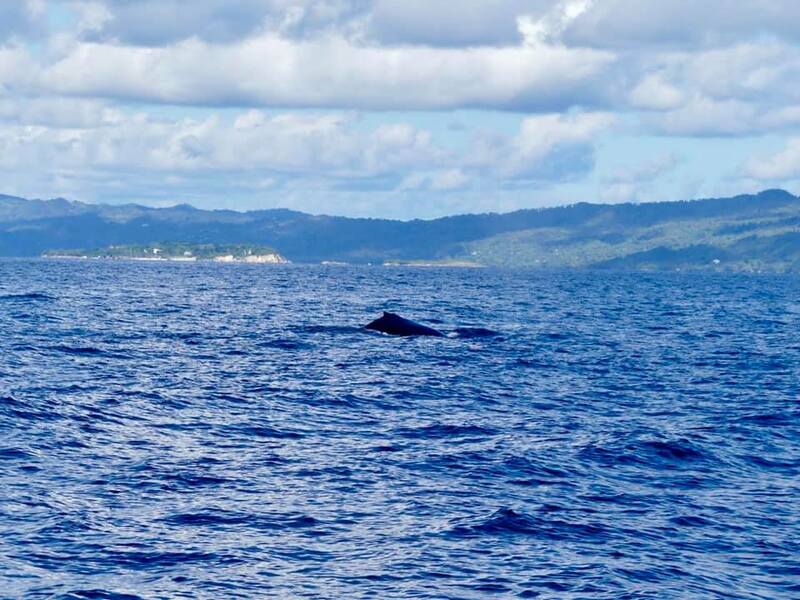 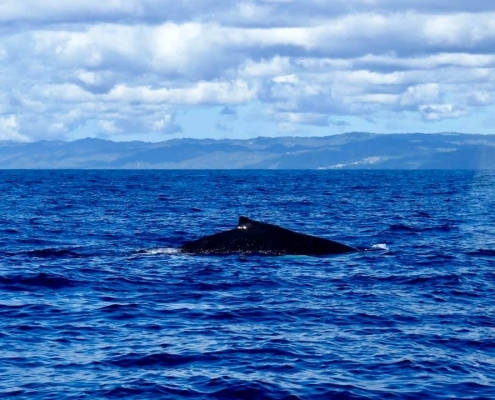 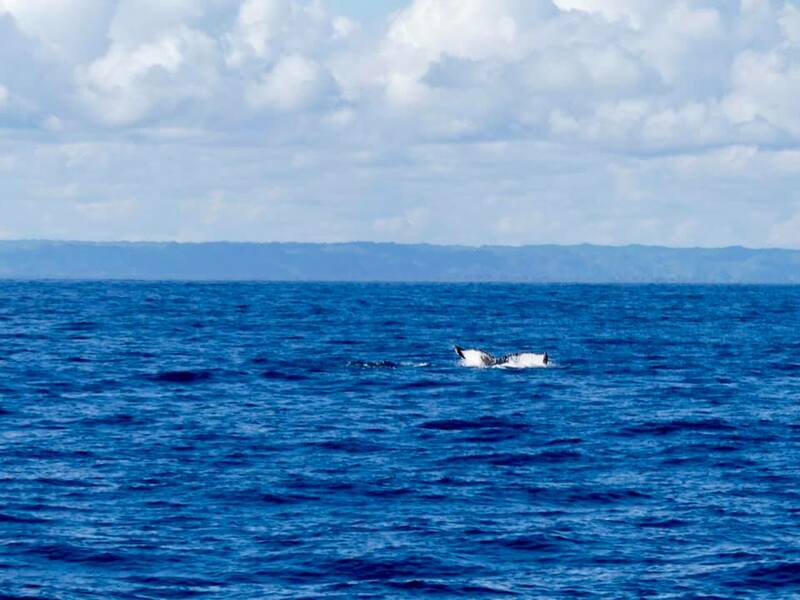 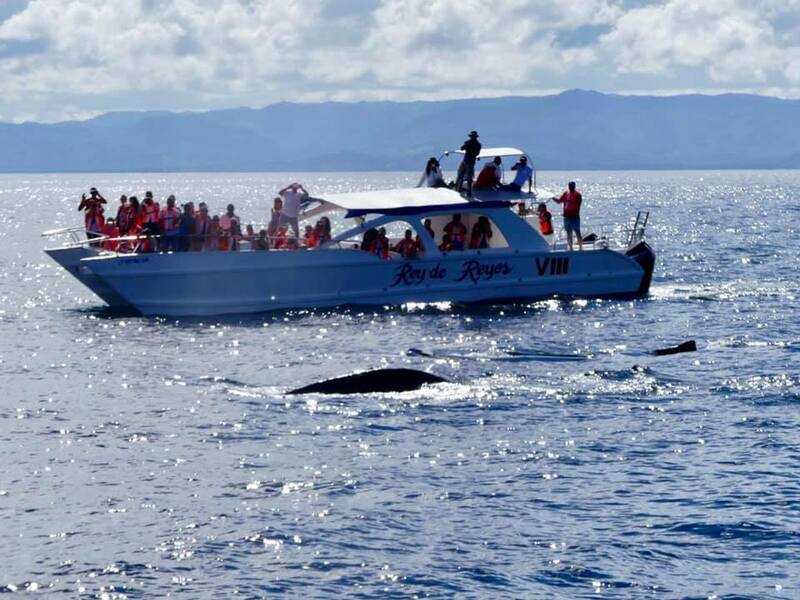 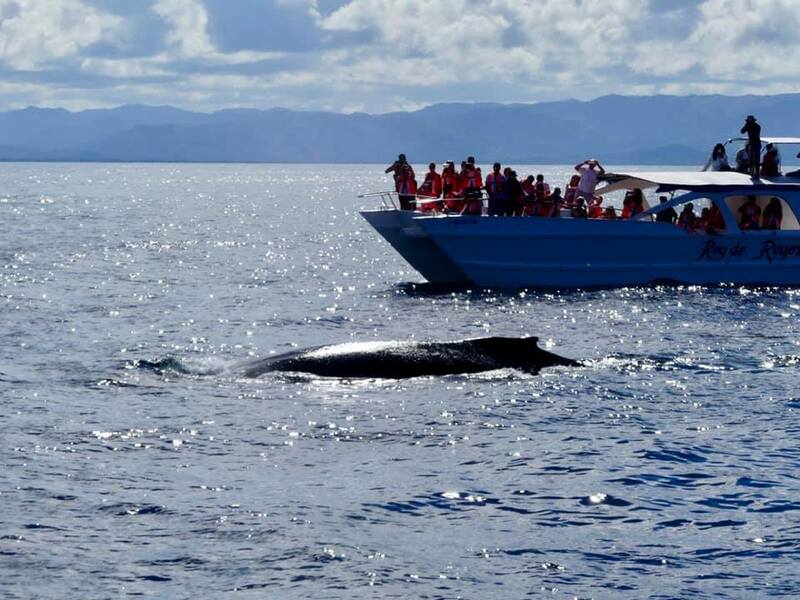 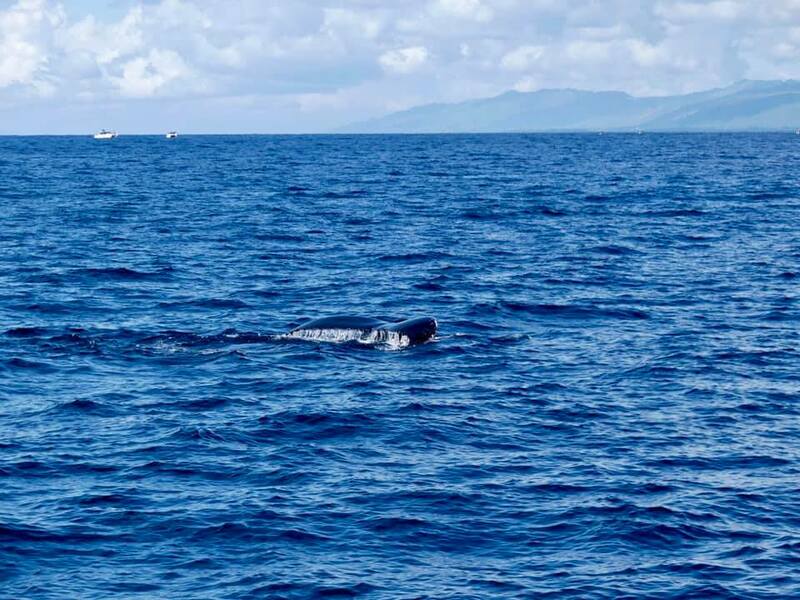 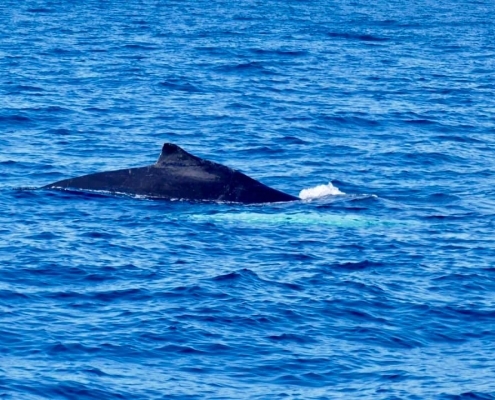 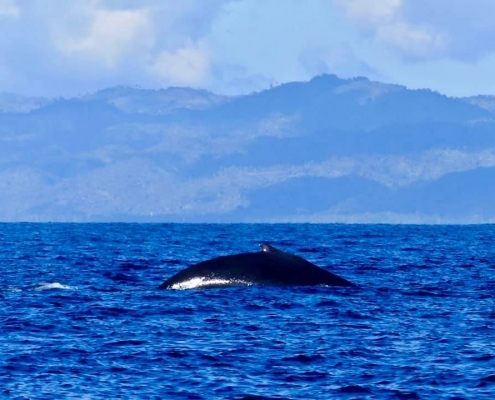 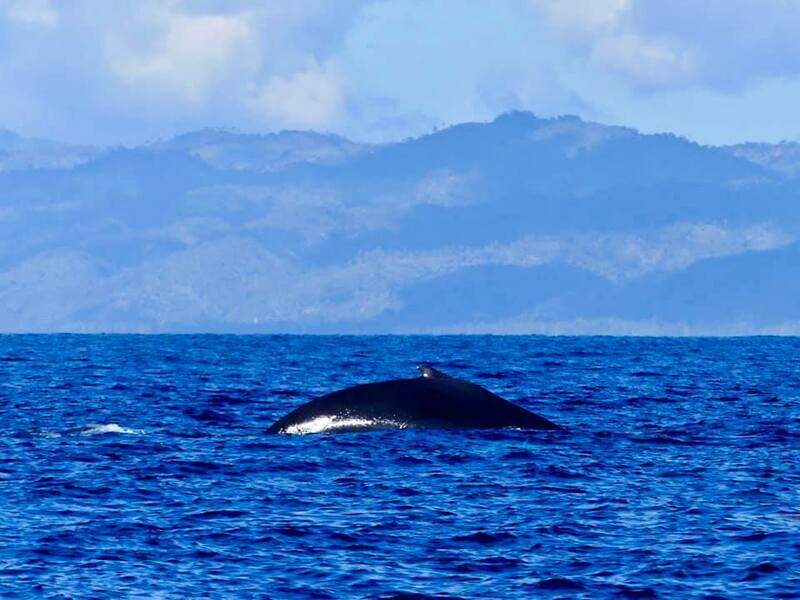 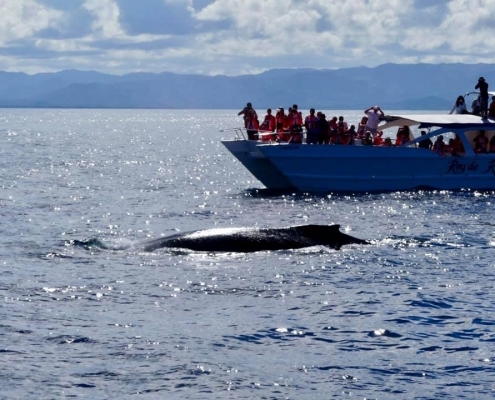 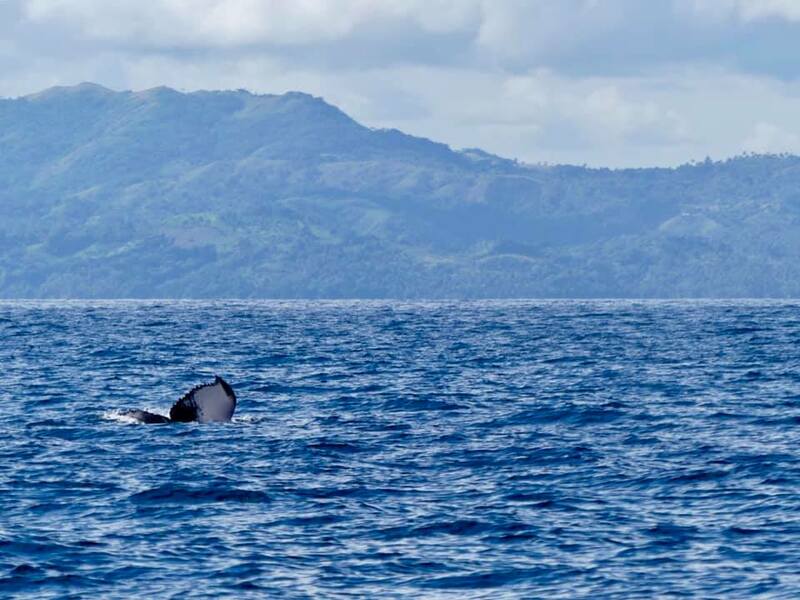 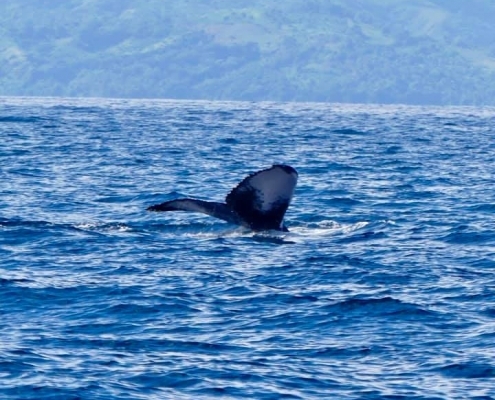 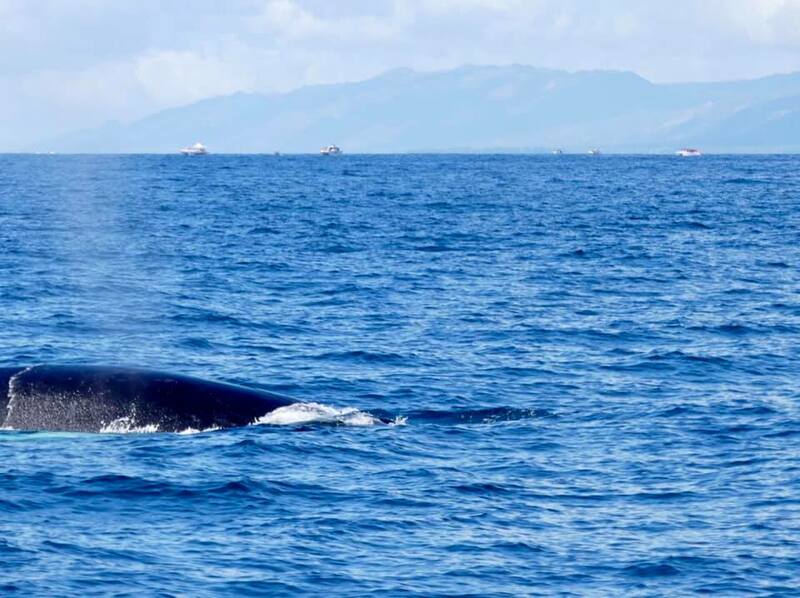 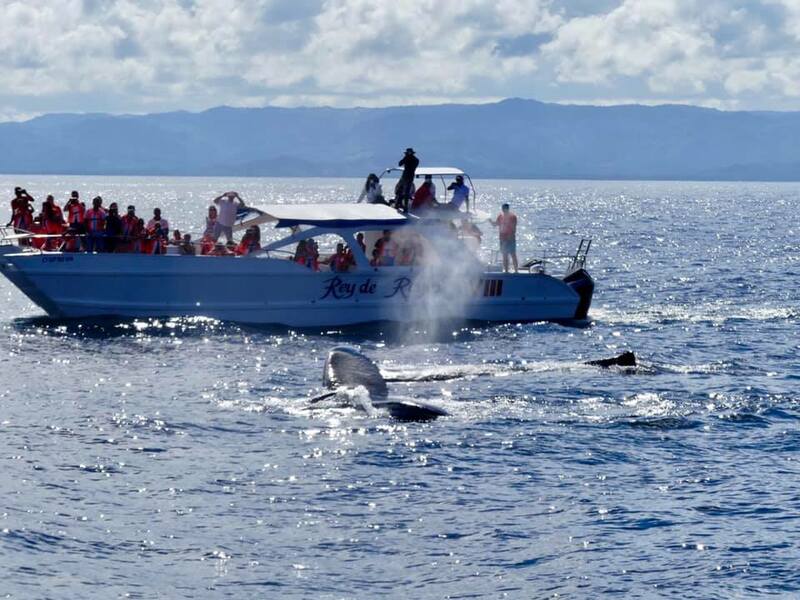 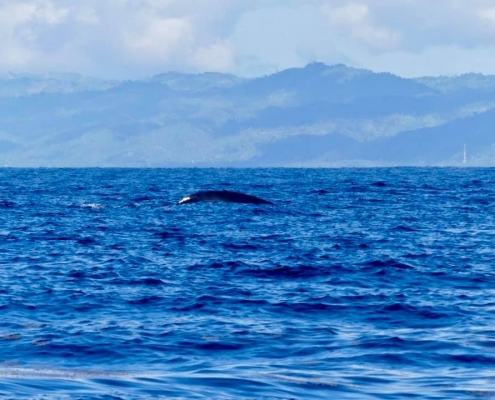 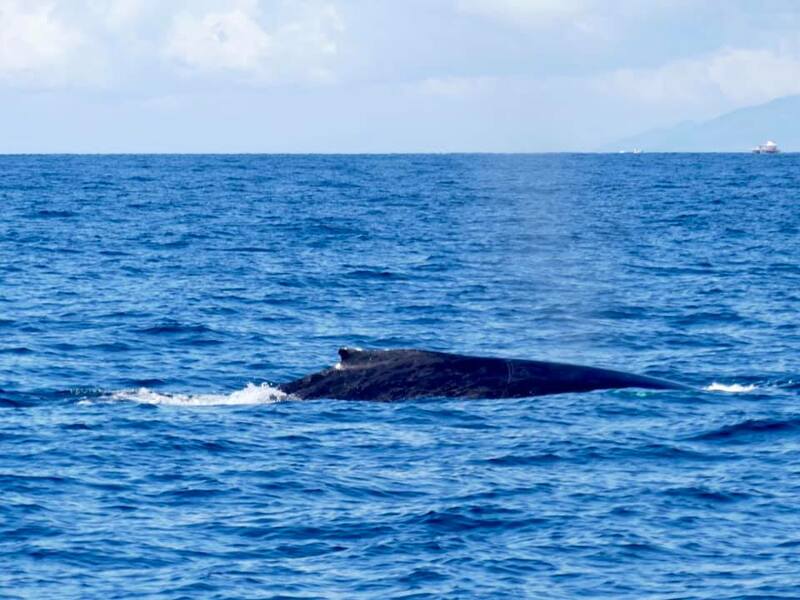 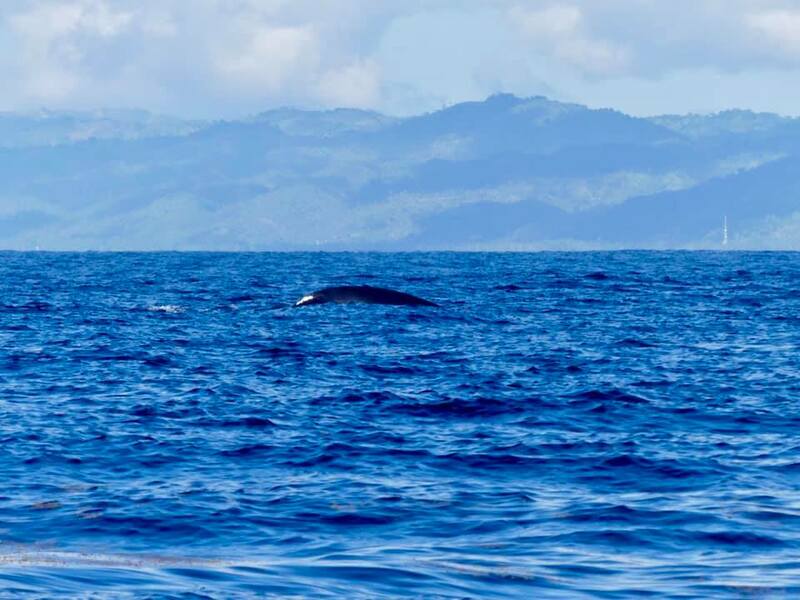 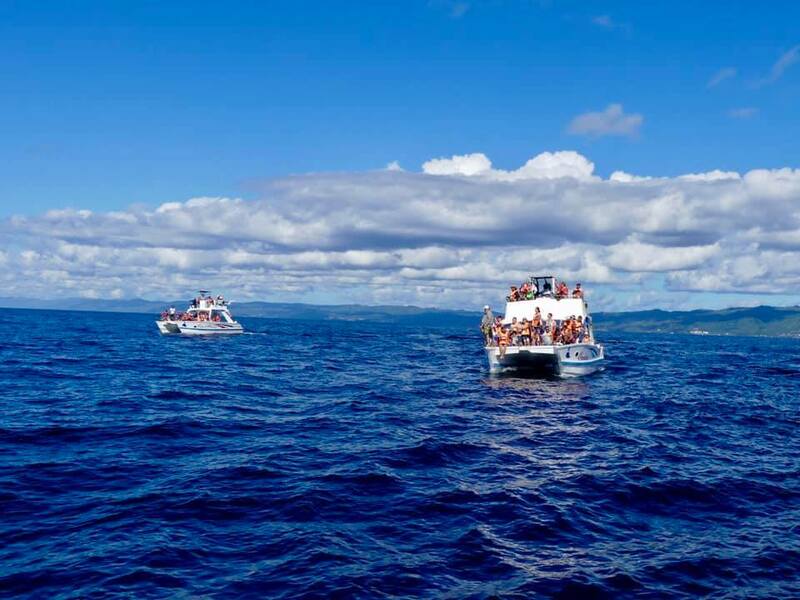 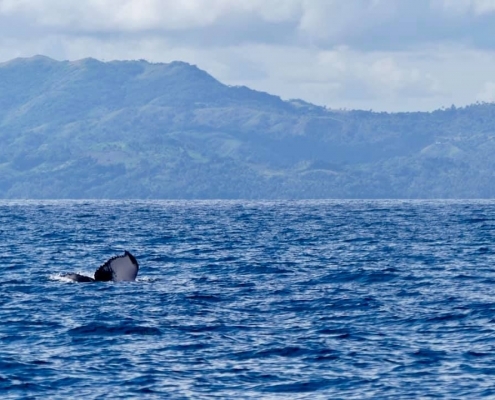 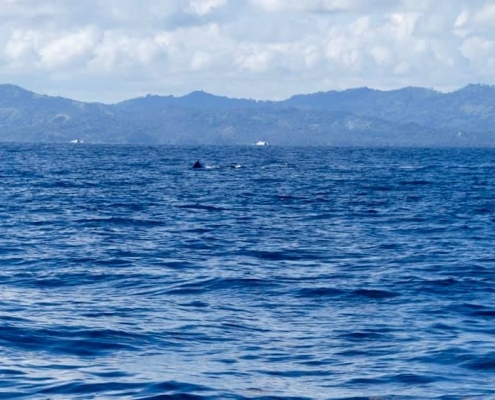 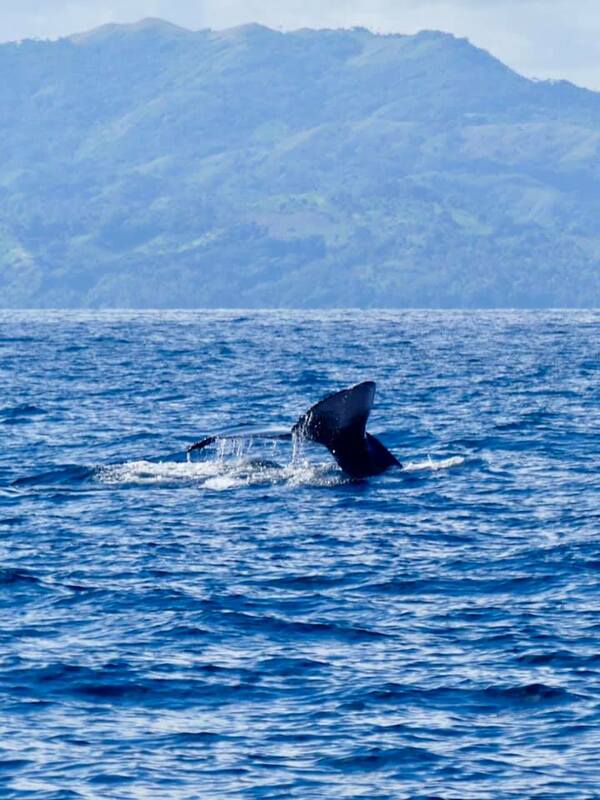 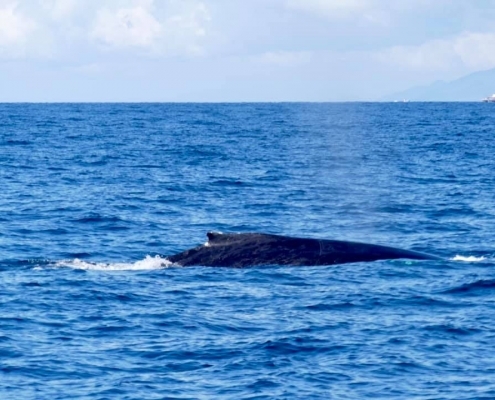 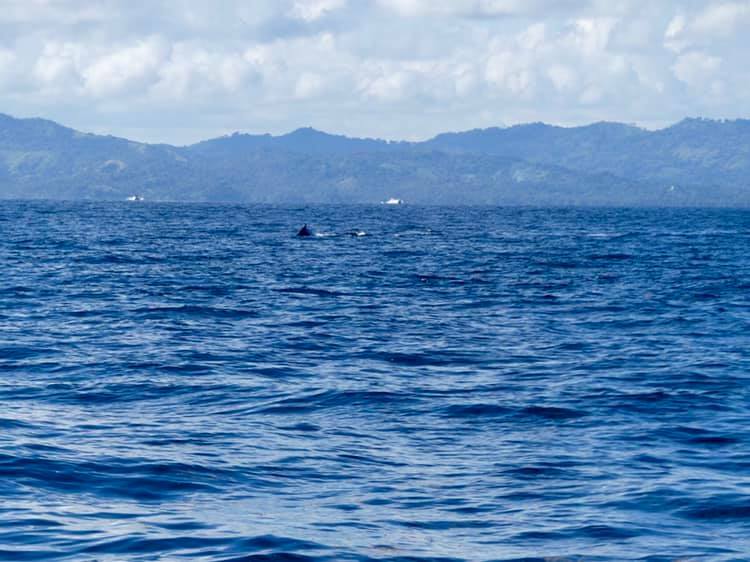 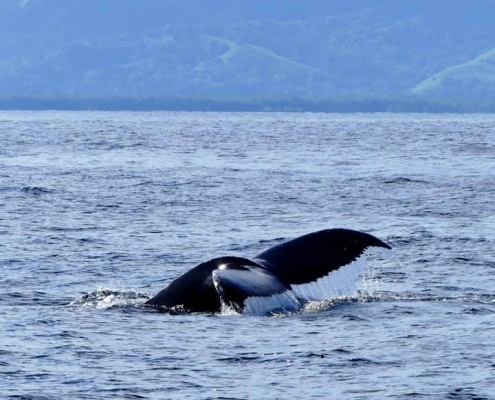 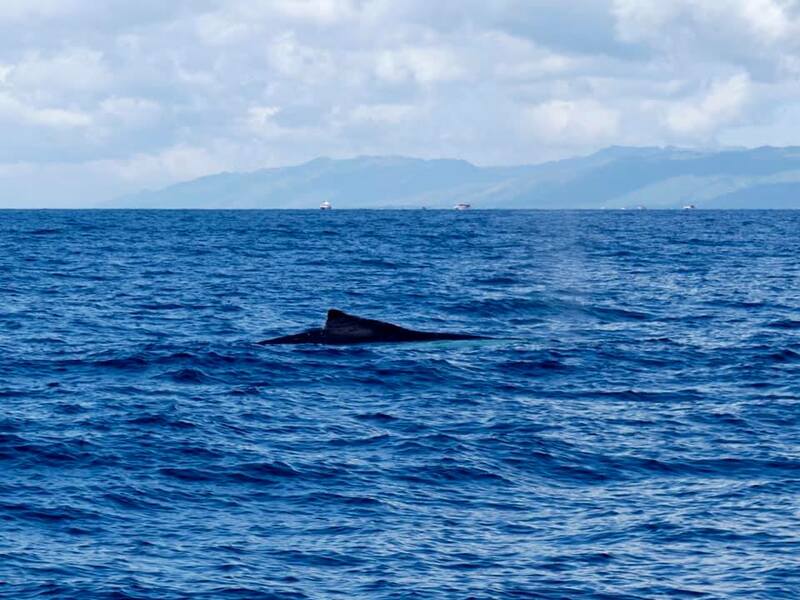 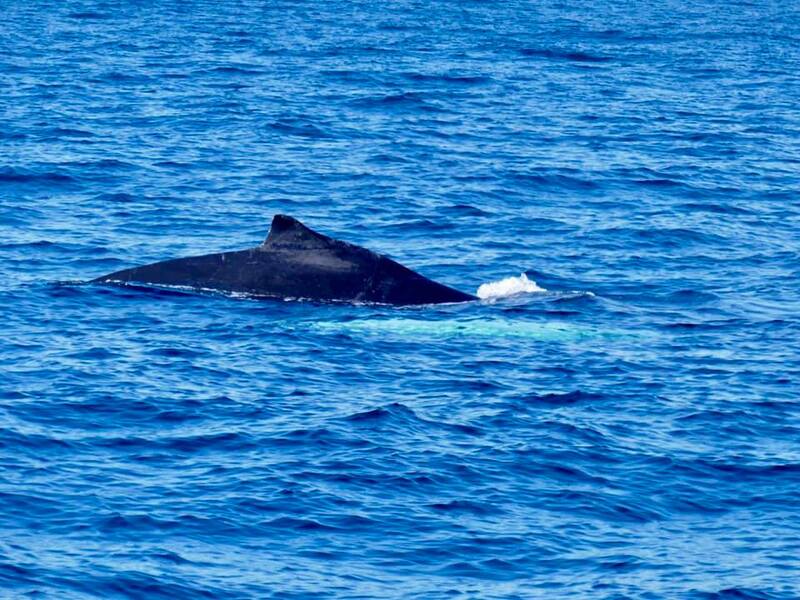 It’s estimated that around 2000-3000 humpback whales come to the Semana Bay in northeastern Dominican Republic to reproduce (that’s around 85% of northern hemisphere Atlantic humpbacks). 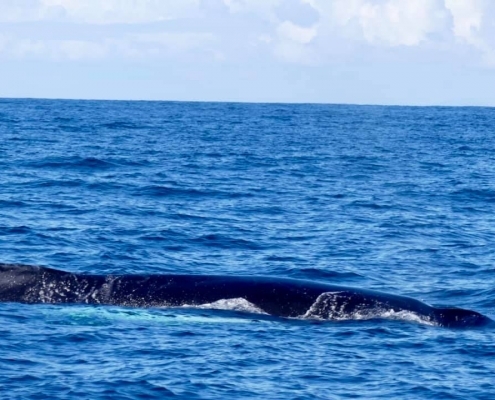 Pregnant females arrive into the relatively small bay in early to mid-January and calves are born around February. 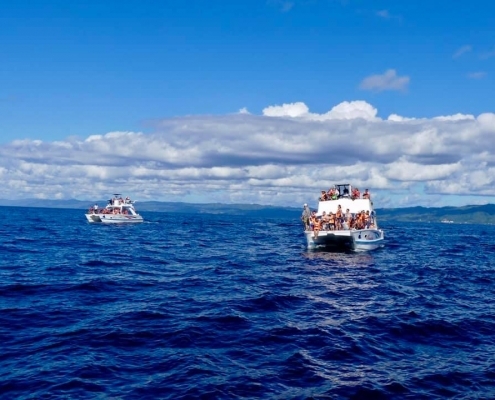 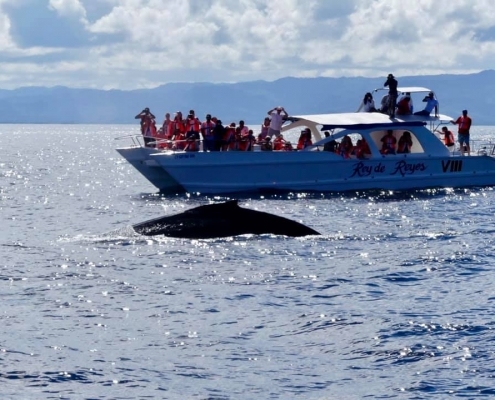 At the height of the whale watching season, there are dozens of boats chasing the poor mammals around. 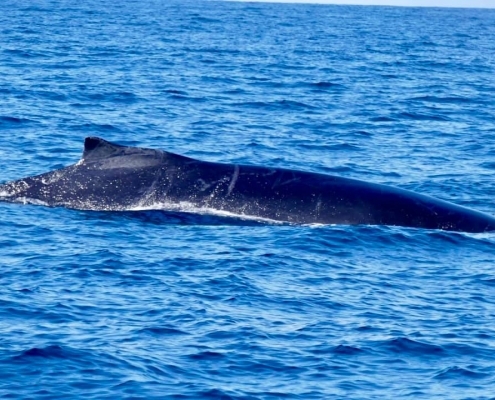 But come in early-mid January, and only a few boats go out, warning their tourists in advance that chances of seeing whales are not high. 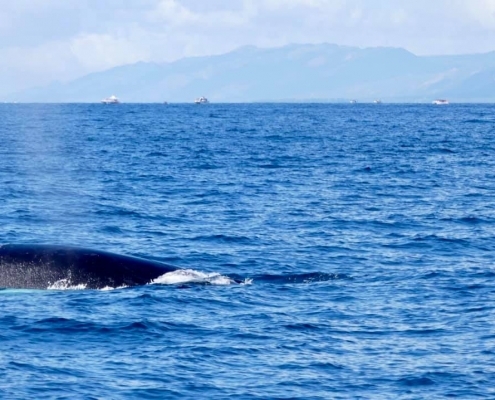 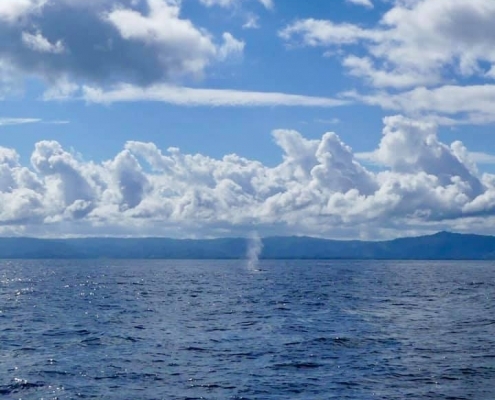 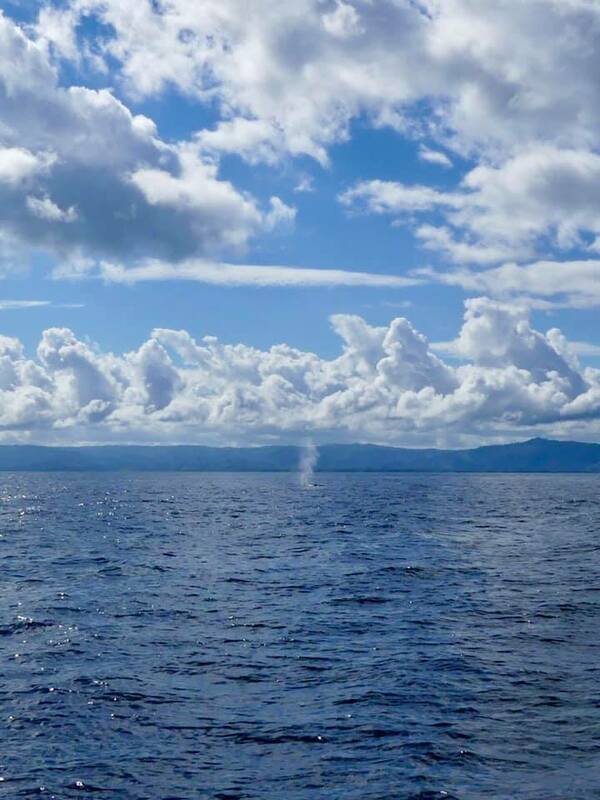 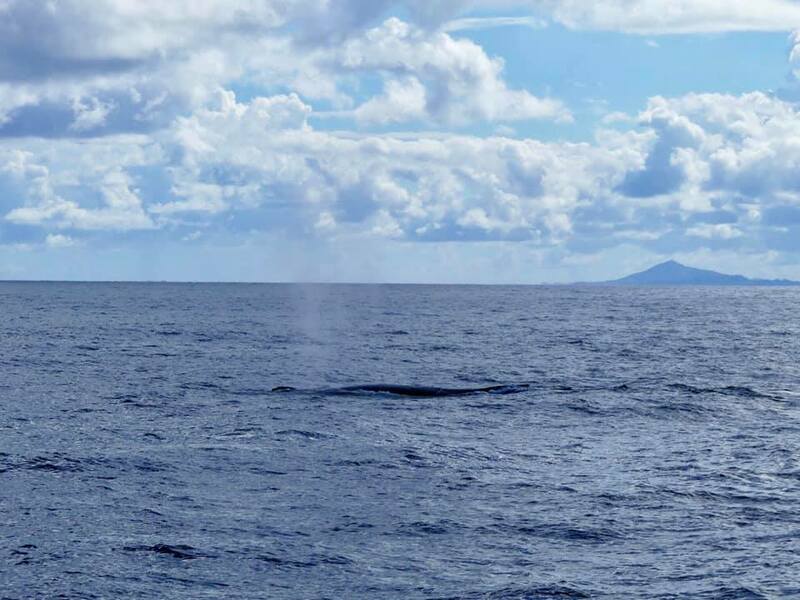 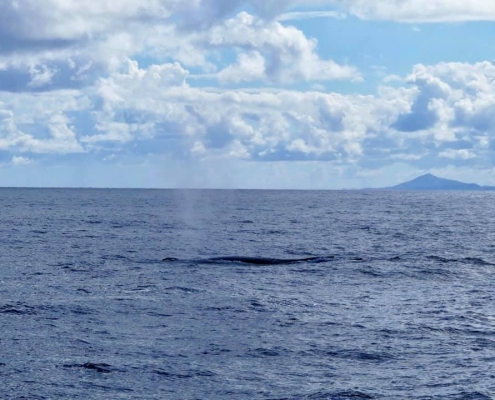 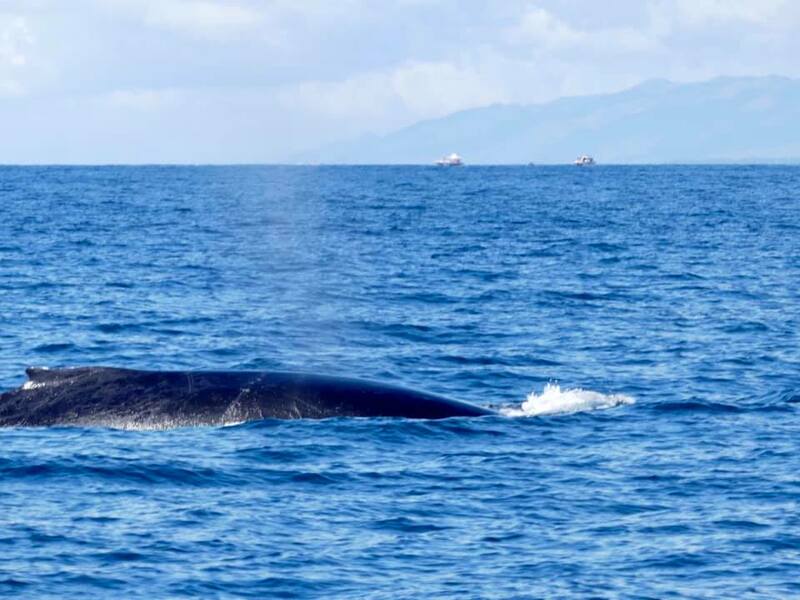 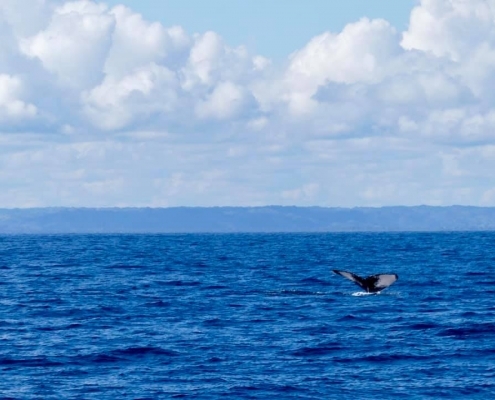 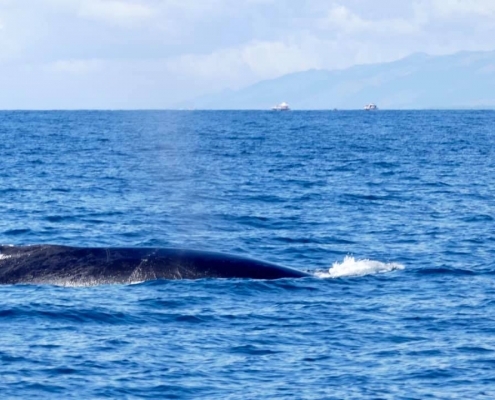 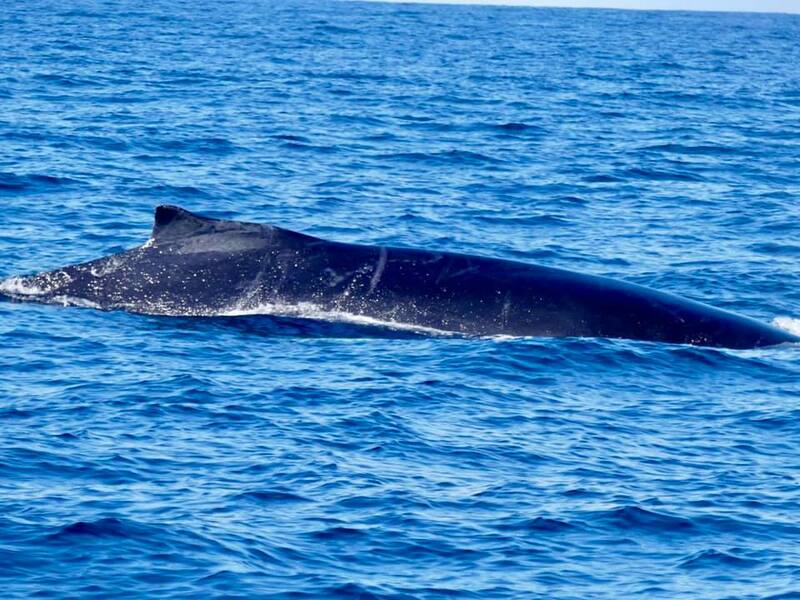 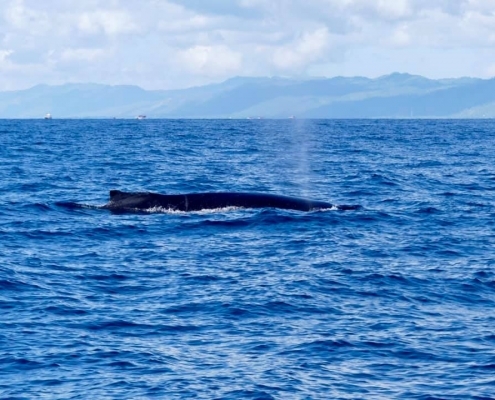 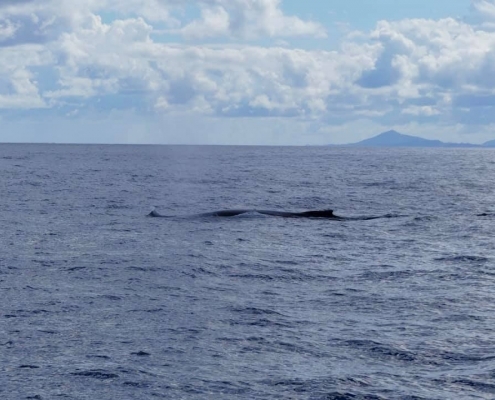 But this year, whales arrived early, and we counted 12 separate whales, even two at a time. 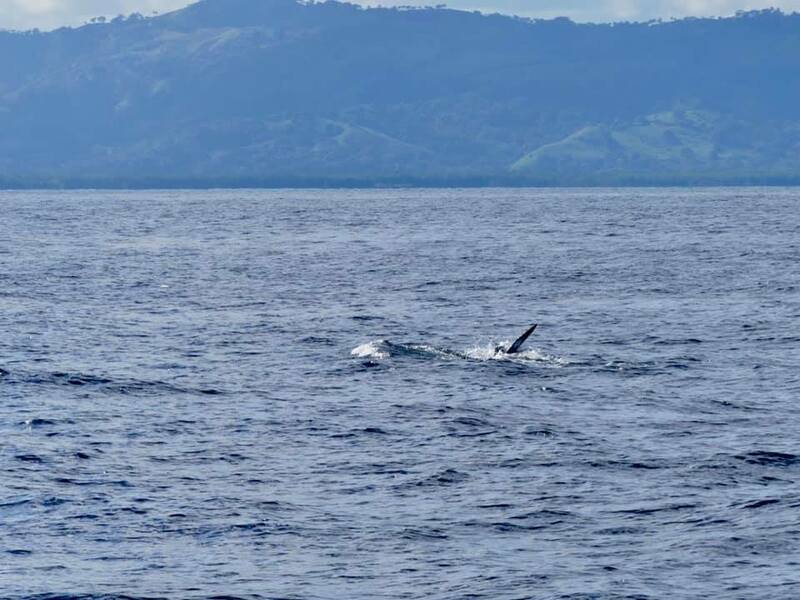 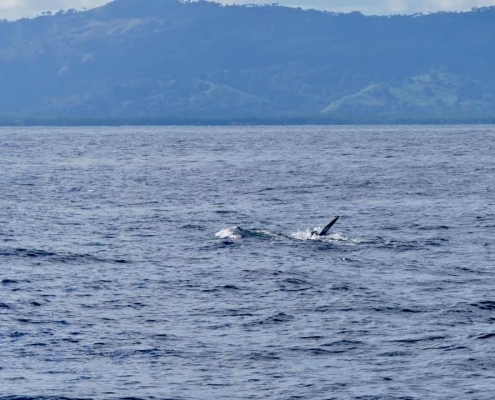 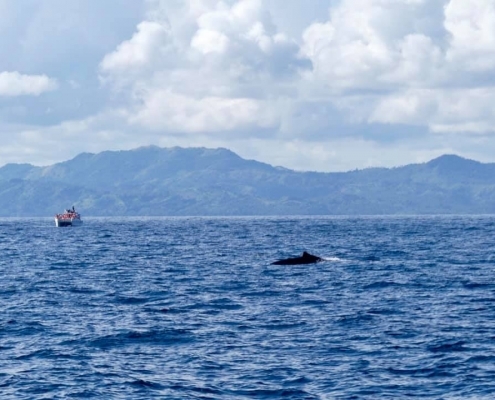 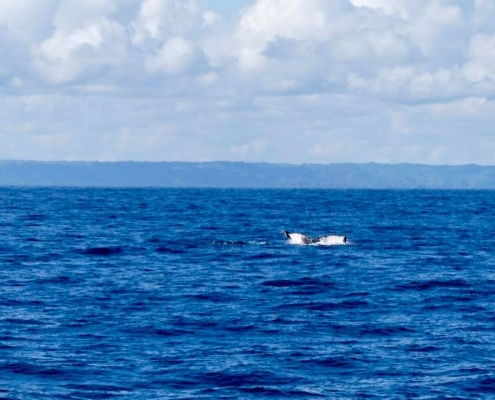 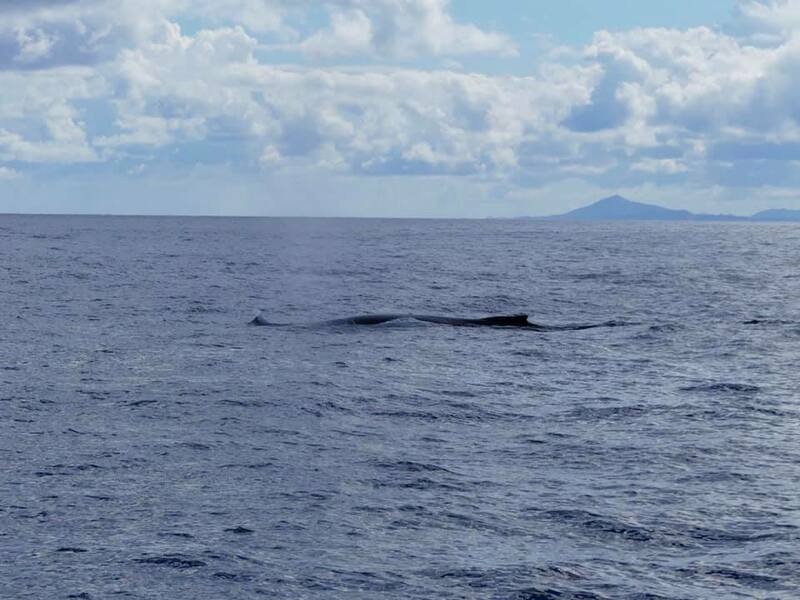 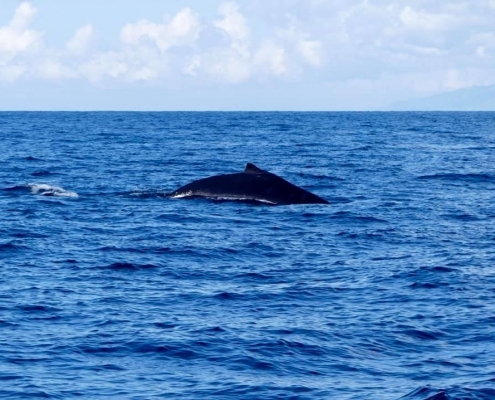 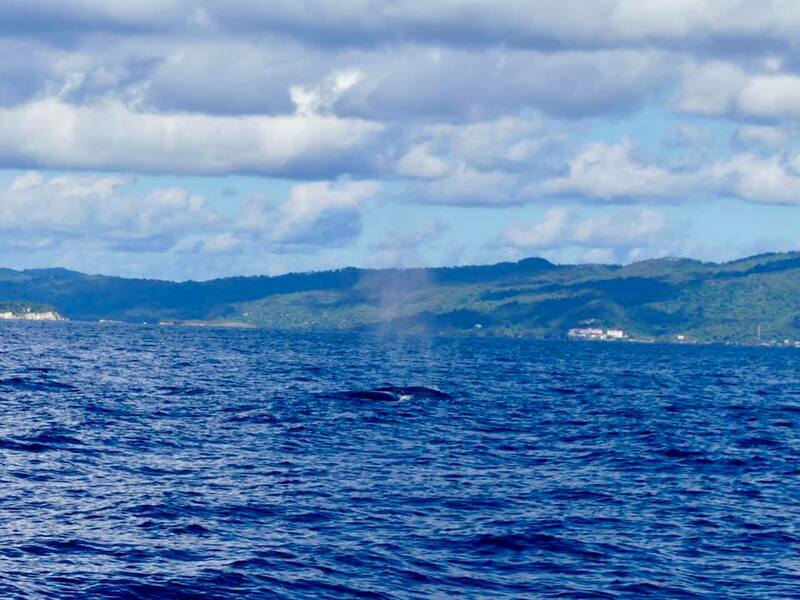 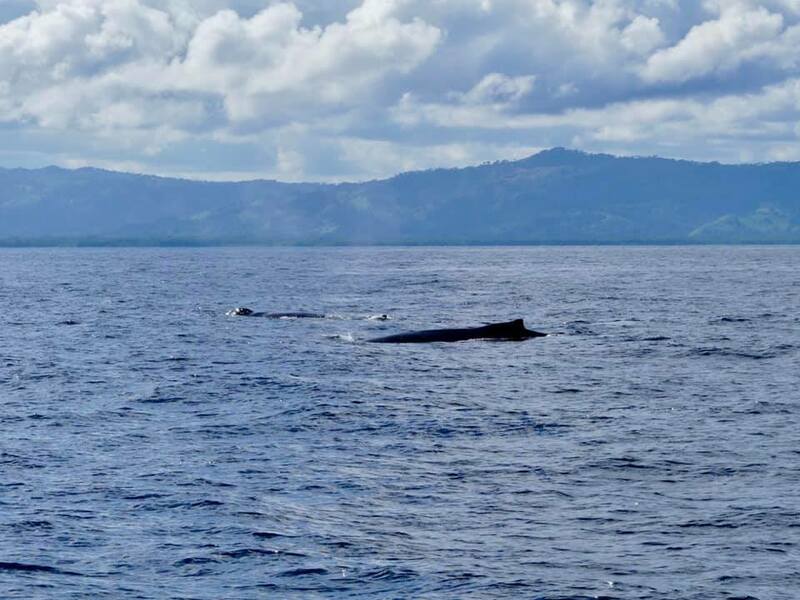 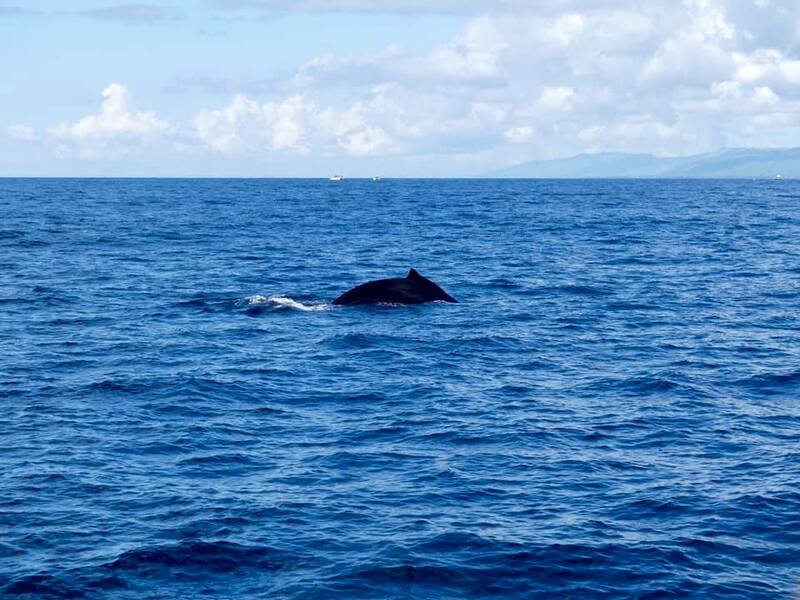 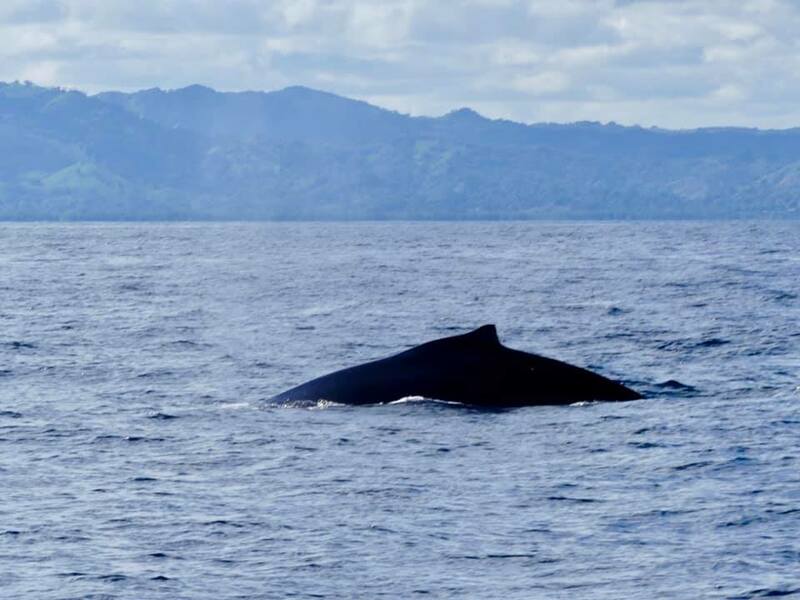 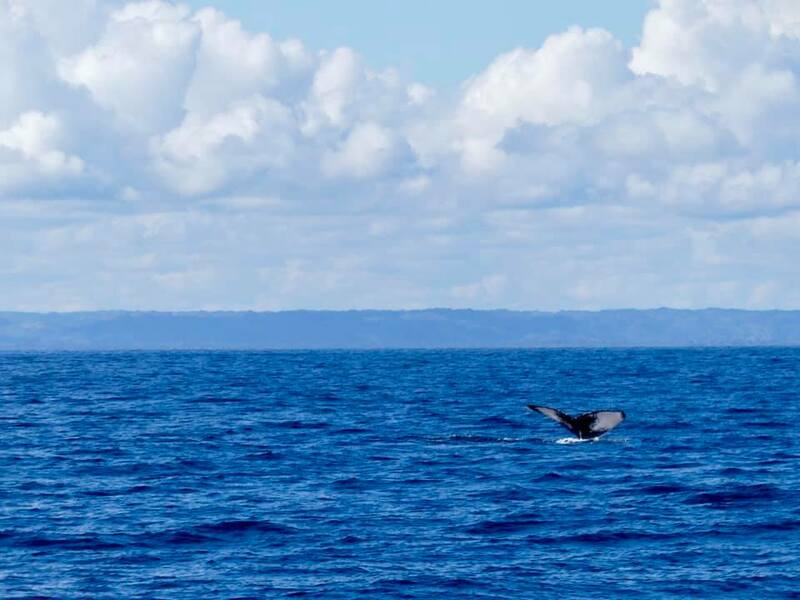 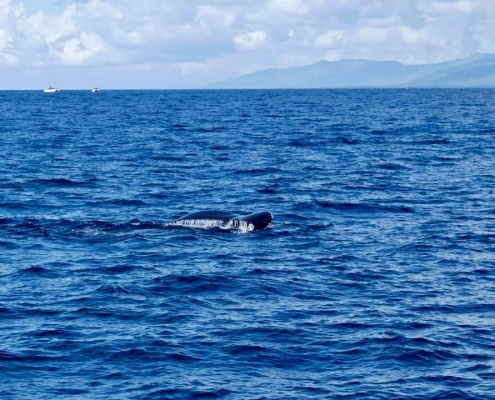 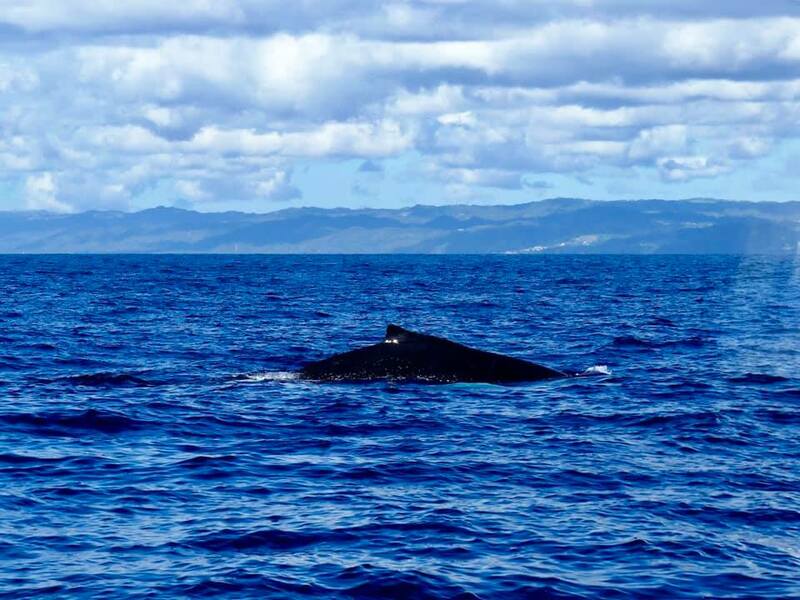 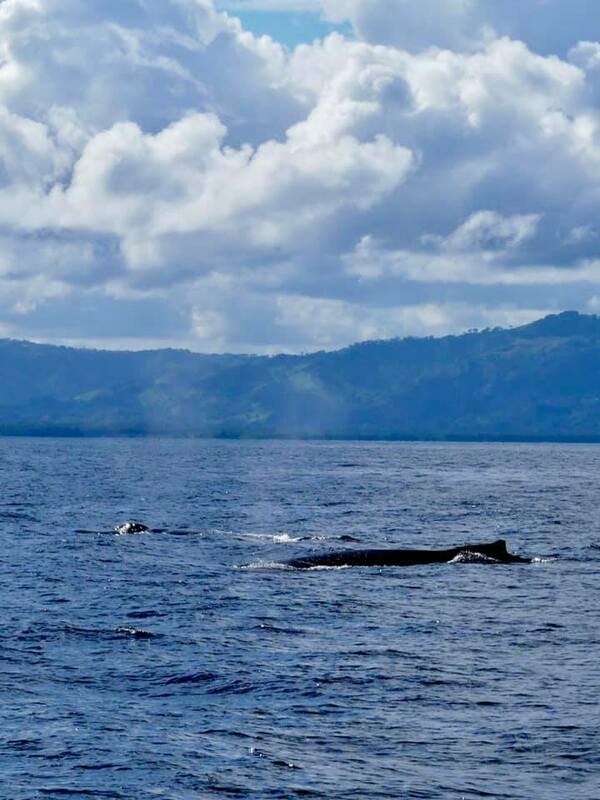 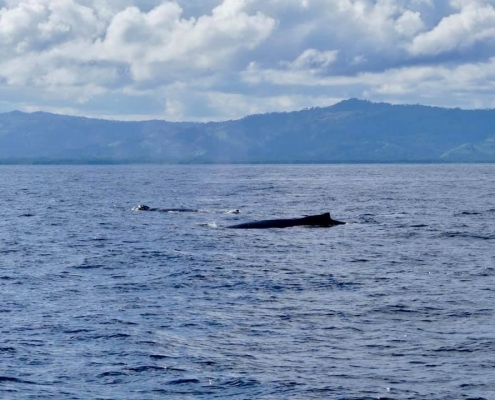 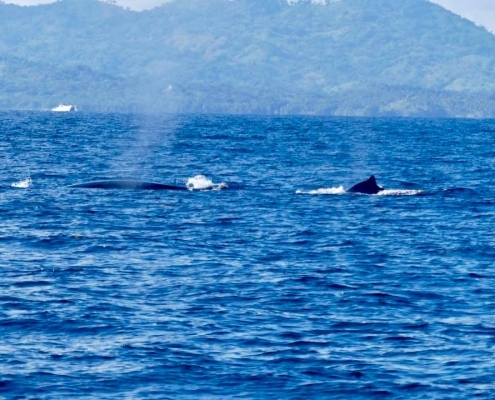 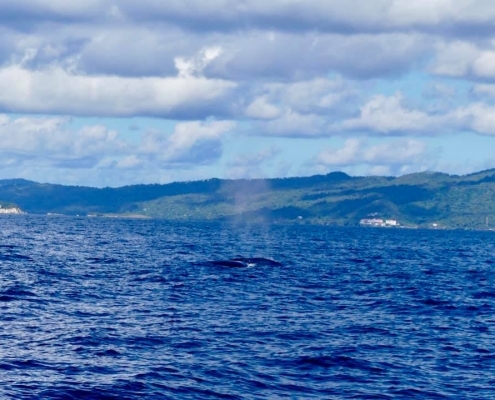 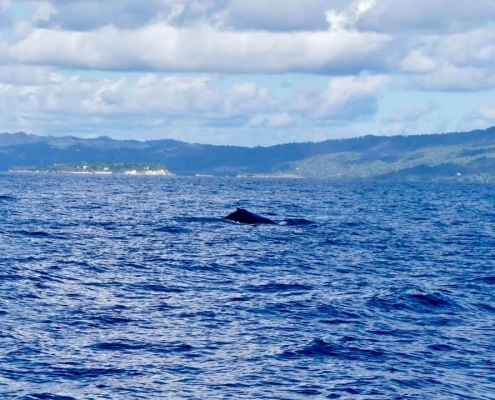 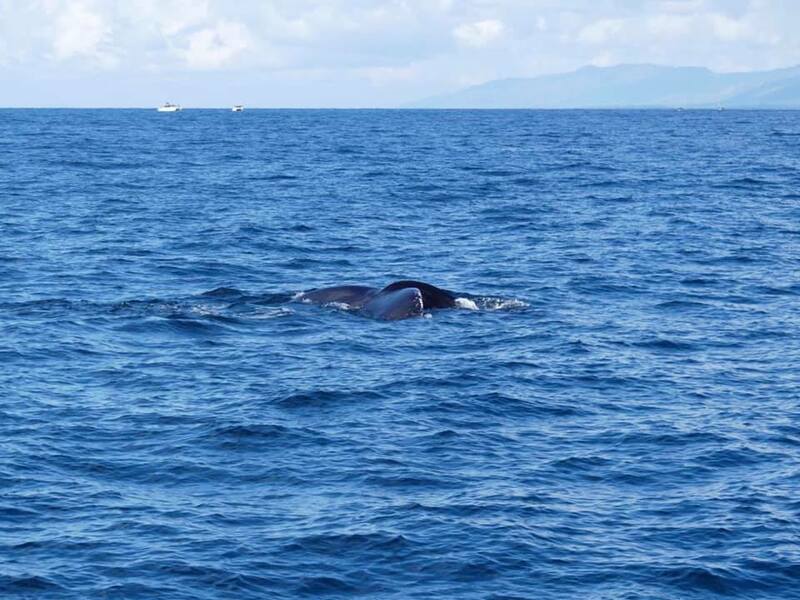 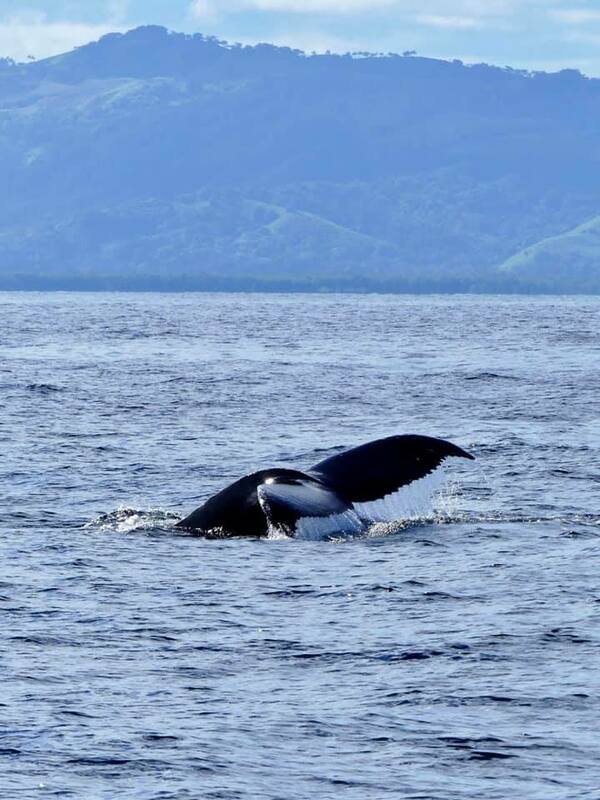 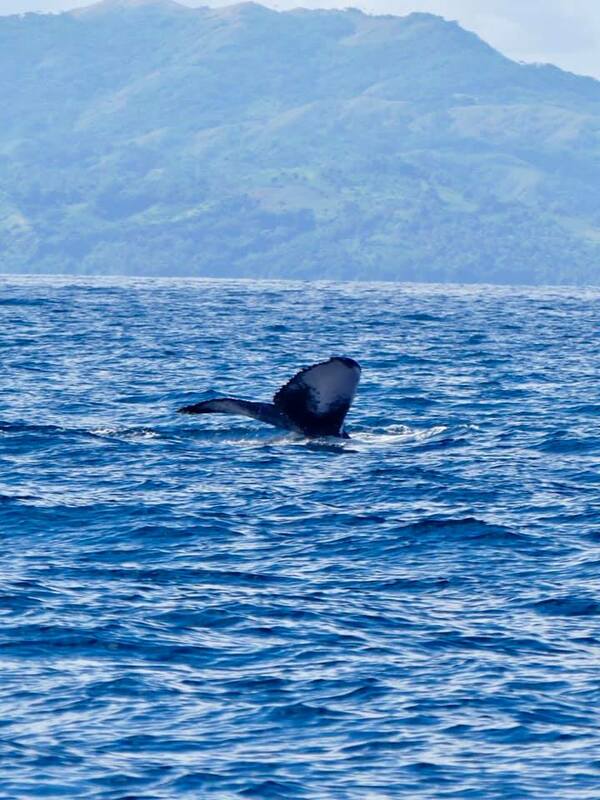 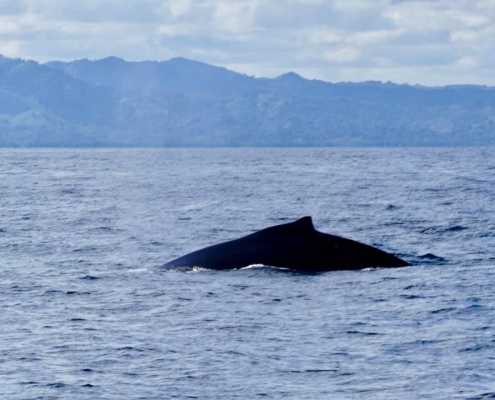 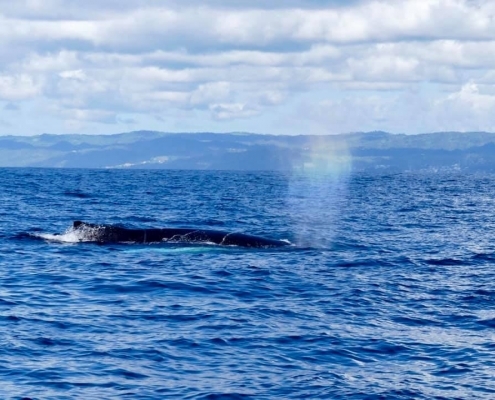 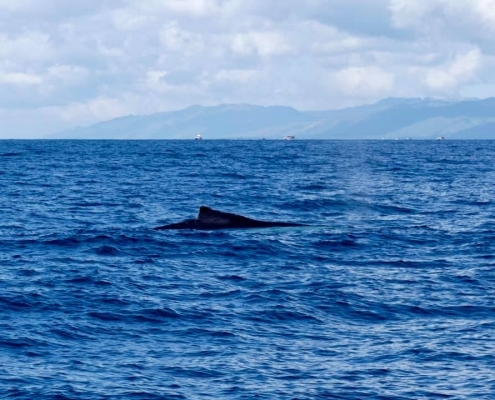 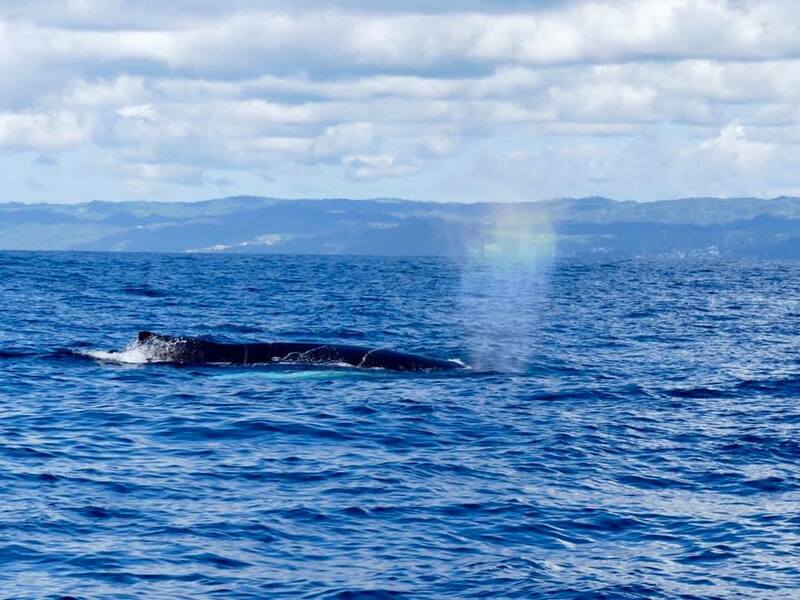 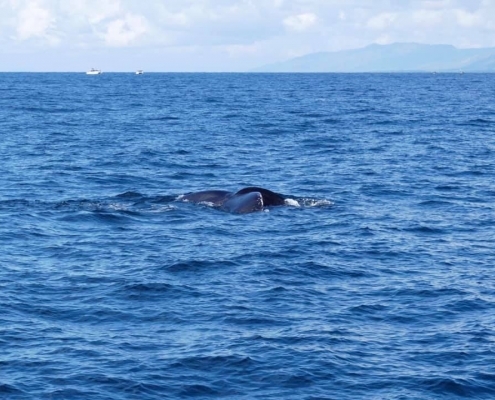 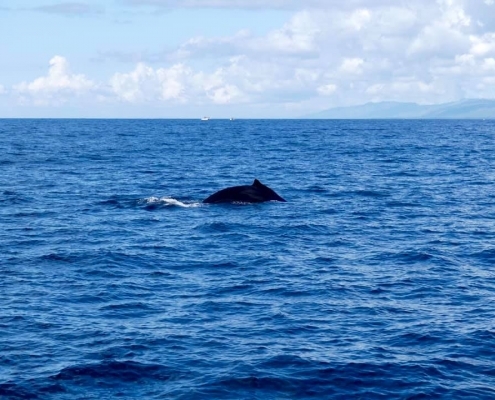 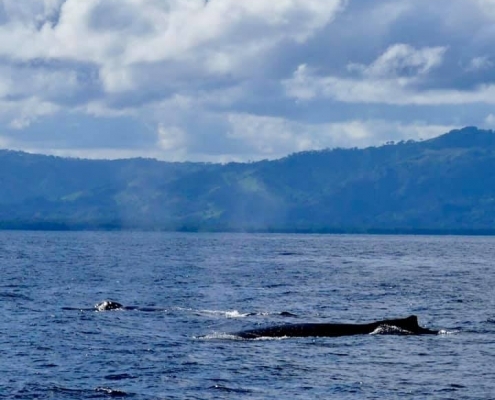 No breaching yet (they are pregnant), but swimming and diving with the typical humpback tailfin “goodbye”. 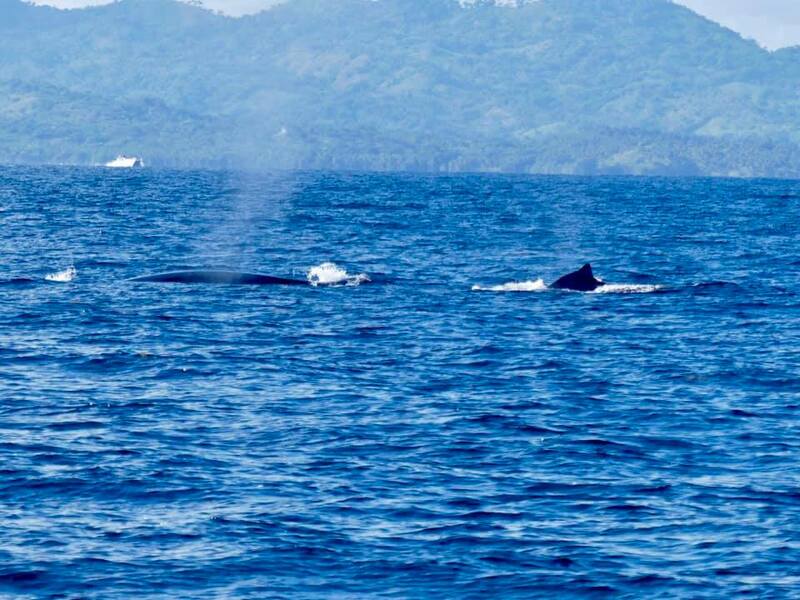 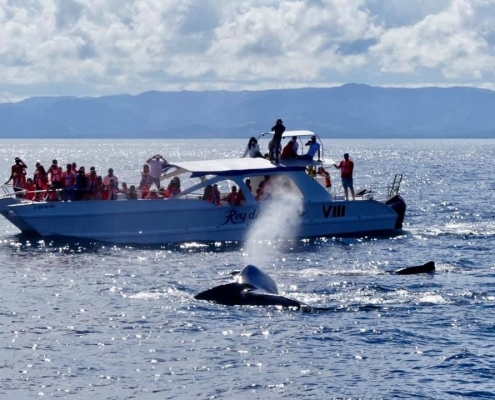 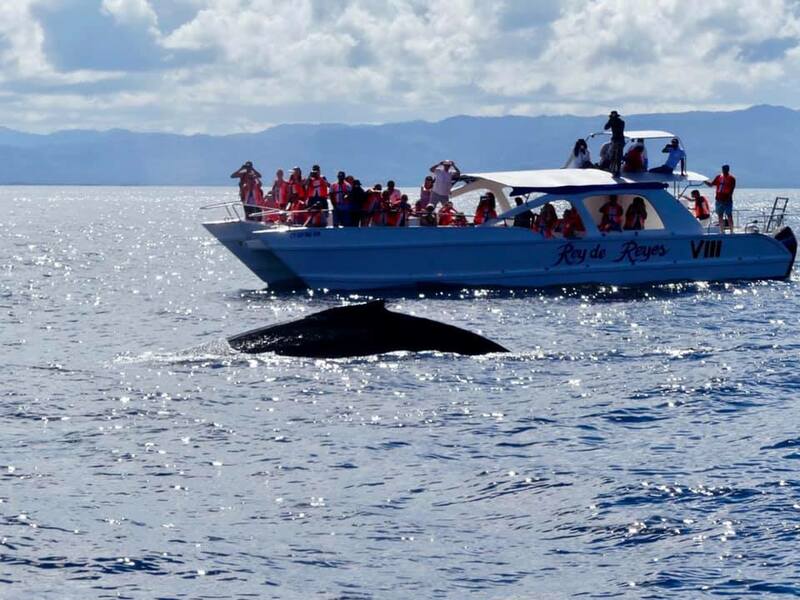 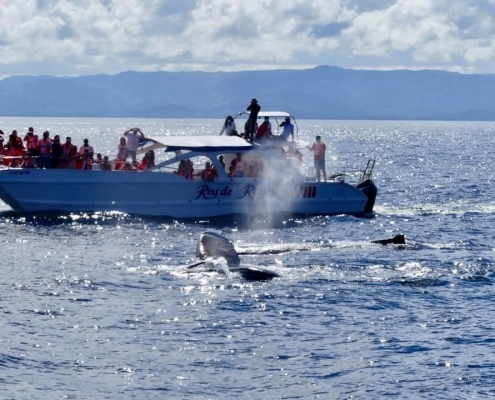 I’d skip all the Dominican resorts and beaches and cultural attractions and just come to DR for just the whales!